A team of researchers from UCSF and the University of Pennsylvania has uncovered how a normal biological mechanism called the “unfolded protein response,” goes awry in human lymphoma – work that may lead to the development of specific drugs to fight different forms of cancer. The unfolded protein response is something of a safety self-destruct valve – it protects against the potential toxicity of unfolded proteins by causing cells in which they accumulate to harmlessly implode. But during the development of lymphoma, it can also cause cells to proliferate. Led by Davide Ruggero, PhD, a UCSF associate professor of urology, and Constantinos Koumenis, PhD, from the Perelman School of Medicine at the University of Pennsylvania, the team showed how the unfolded protein response works in patients with human lymphomas and mice genetically bred to develop lymphomas. Instead of pushing the cancer cells toward self-destruction, it nudges them toward survival. The work, described in an article published online recently by the Journal of Clinical Investigation, provides researchers with potential new targets for new drugs to fight cancer. Specifically, they identified a human protein called PERK, which plays a central role in unfolded protein response. They showed that inhibiting PERK reduces the formation of tumors. The research team also uncovered a main contributor to PERK activation: the activity of a cancer-related gene called c-Myc, which paradoxically switches on both cell proliferation and death. When the cell becomes cancerous, c-Myc–induced death is bypassed, promoting tumor formation. “A critical feature of c-Myc-overexpressing cells is an increased rate of protein synthesis that is essential for Myc’s ability to cause cancer,” says Tom Cunningham, PhD, a postdoctoral fellow in the Ruggero lab. “Myc tumor cells use this aberrant production of proteins to block apoptosis [programmed cell death] and activate the unfolded protein response. 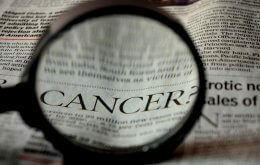 These cancer cells depend on Myc-induced increases in protein abundance to survive,” said Ruggero. Targeting protein synthesis downstream of Myc oncogenic activity may represent a promising new therapeutic window for cancer treatment, he added. PERK is already an active target for drug design in academia and the pharmaceutical industry, but any drugs that are developed against it will have to undergo clinical trials for safety and effectiveness before they are approved by the U.S. Food and Drug Administration and commonly available as human patient therapies. A full, detailed description of the work can be found in the University of Pennsylvania press release. The article, “ER stress–mediated autophagy promotes Myc-dependent transformation and tumor growth,” by Lori S. Hart, John T. Cunningham, Tatini Datta, Souvik Dey, Feven Tameire, Stacey L. Lehman, Bo Qiu, Haiyan Zhang, George Cerniglia, Meixia Bi, Yan Li, Yan Gao, Huayi Liu, Changhong Li, Amit Maity, Andrei Thomas-Tikhonenko, Alexander E. Perl, Albert Koong, Serge Y. Fuchs, J. Alan Diehl, Ian G. Mills, Davide Ruggero and Constantinos Koumenis was published by the Journal of Clinical Investigation on Nov. 12. This work is supported by the National Institutes of Health through grant #R01CA094214, #R01CA139362, #R01CA140456, #R01CA122334, and #P01CA104838. Additional support was provided by a grant from the American Cancer Society, by Commonwealth of Pennsylvania Universal Research Enhancement Program Funds and through a Leukemia and Lymphoma Society Scholarship.